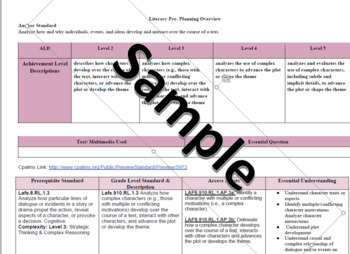 Everything a teacher would need for planning is attached in each document for explicit planning. Very useful for new teachers who would not know where to go to get these resources for planning. I hope this reaches everyone well. 80% of the teachers plans are completed. All they would need to do is complete their daily end products and gradual release instruction. I am willing to send you one copy so you can see it. It makes planning very easy for teachers.